Bulls forward Bobby Portis has sent teammate Nikola Mirotic to the hospital with an “alleged cheap shot” at team practice today … according to The Vertical. 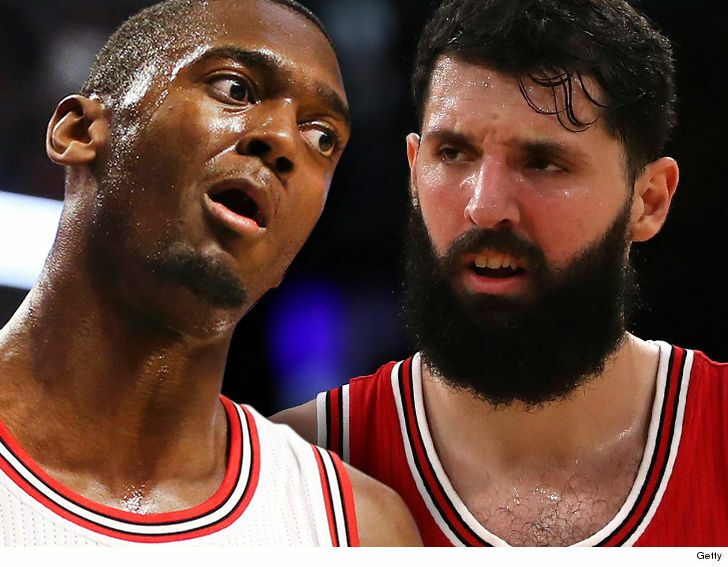 Portis and Mirotic reportedly got into a shoving match … that ended with Bobby hitting Nikola in the face. According to the report, Mirotic is now out indefinitely … while any punishment for Portis has not yet been addressed. Nikola was expected to begin the season as the team’s starting PF, ahead of Portis. Neither the Bulls or the NBA have commented on the fight. Chicago is scheduled to open the season against the Raptors on Thursday.